Motorola and Verizon have begun taking pre-orders for the 5G Moto Mod, the addon-accessory for the Moto z3 smartphone introduced last year. The device supports 5G mmWave radio, sub-6 GHz connectivity. 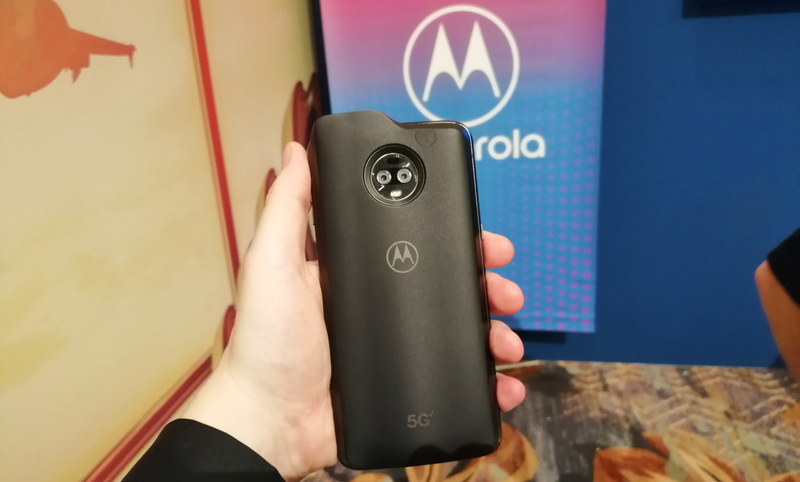 The 5G Moto Mod only works with the Moto z3, and will available exclusively to Verizon customers in the U.S. 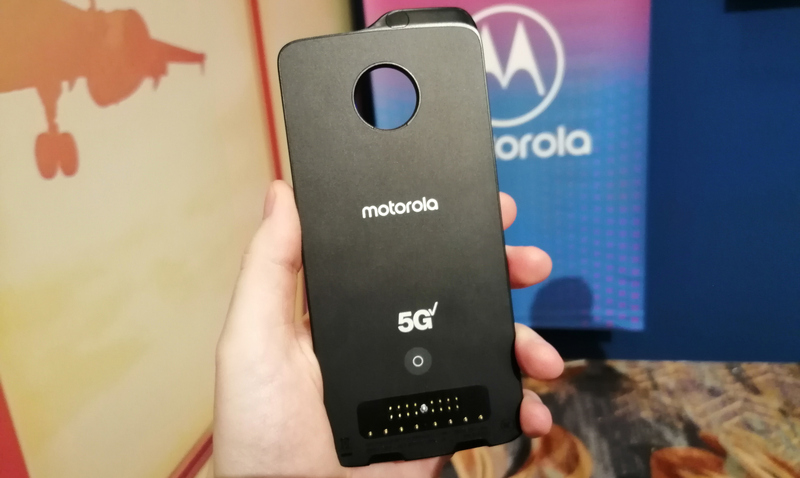 The Motorola 5G Moto Mod packs Qualcomm’s Snapdragon 855 SoC that is used to boot the company’s X50 modem, the key enabler of the developer’s 5G platform. 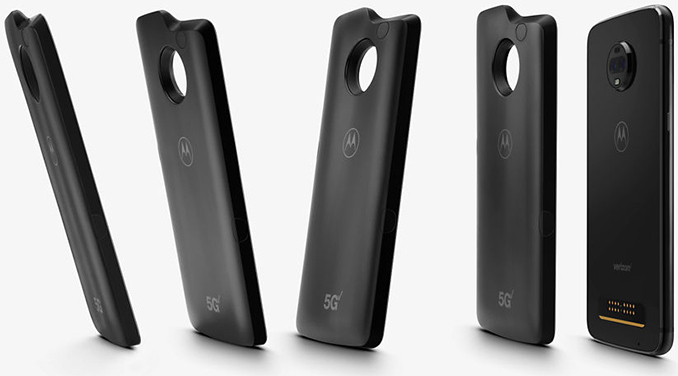 Besides the chips, the 5G Moto Mod also integrates 10 antennas: four Qualcomm’s QTM052 for mmWave radio, two antennas for sub-6 GHz connectivity, and four for 4G/LTE. To power itself, the unit has a 2000-mAh battery. Verizon will sell Motorola’s 5G Moto Mod for $349.99 in retail when bought together with a Moto z3, or to existing customers with an active Moto z3 on their account. Meanwhile, customers with a Moto z3 and any Verizon unlimited plan can get the product for $50 if they sign up for the 5G service at $10 per month (with the first three months free) on top of their current plans, that now cost from $85 to $105 for 24 months. Besides, customers can also activate a new line of service on a Verizon device payment plan to get the phone and the mod. Verizon will launch its 5G Ultra Wideband service in select areas in Chicago and Minneapolis on April 11. Later this year the company will expand its 5G Ultra Wideband network to over 30 markets. Besides the 5G smartphone+mod combination from Motorola, Verizon will also offer Samsung's Galaxy S10 5G and LG's V50 ThinQ handsets later this summer. Moto 5G Mod at Snapdragon Summit: Lots of Antennas, and S855 Inside? Just like the old times, when the C64 Disk Drive had it's own 6502 processor. Sure, if you don't mind that it's missing LTE/3G, sound, a display, all sensors, a camera or, ya know, all of the other features of a modern smartphone. This is why I'm not overly enthusiastic about Qualcomm's early 5G NR-modem's/radio's.